REGISTER HERE – OPENS NOW! 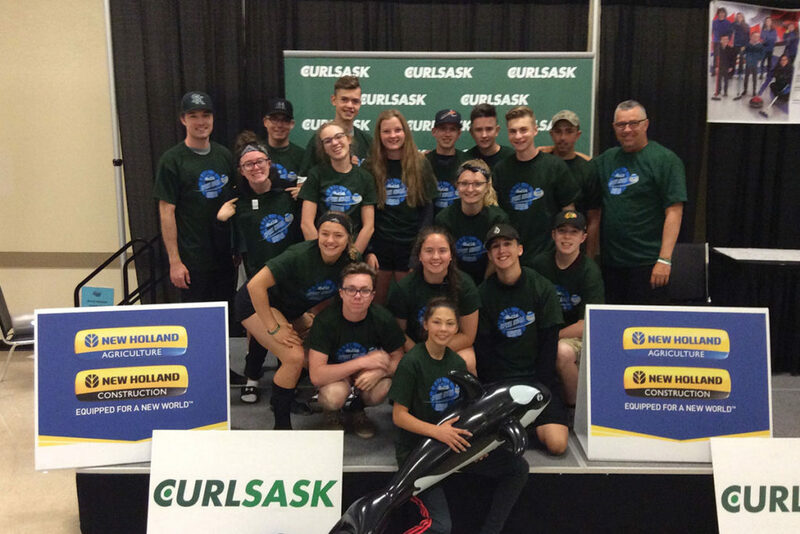 CURLSASK’s Prairieland Curling Camp has been a fixture on the Saskatchewan summer scene since 1986. The camp began in Lumsden, moved to Kindersley, was situated in Nipawin the past nine years & now will make its first appearance in North Battleford at the Twin Rivers Curling Club! There are two fun filled four days sessions available to campers aged 13 – 18. We have now moved the camp from mid-July to mid-August to align with our High Performance Center, also held at the Twin Rivers Curling Club! 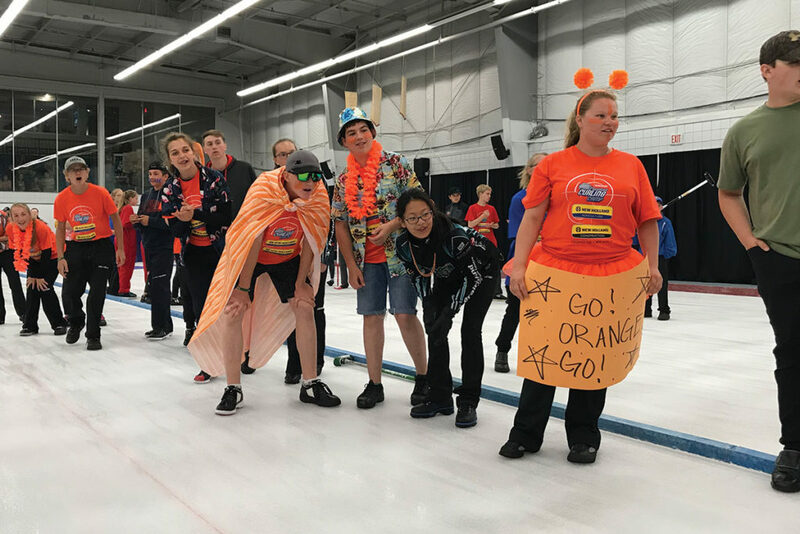 The camp provides six different of skills groups so whether you are new to the sport or are striving to win a U18 or High School championship, there is a group of curlers just like you. Lots of curling campers attend with a friend who is new to the sport because there is so much more than just curling instruction. Recreation and socializing are also huge parts of the camp. Campers come from all over the province ranging from The Big City to Tiny Town, Saskatchewan. Friendships and connections are made here and held on to for many years. 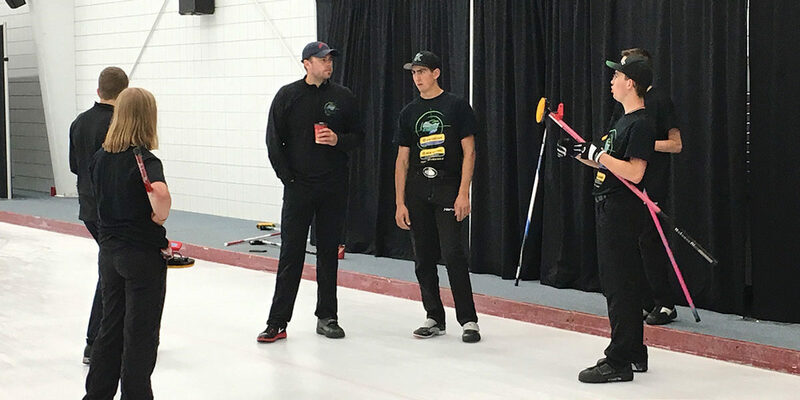 Many of the on-ice instructors are former curling campers themselves. They keep coming back to teach because they had so much fun once upon a time that they want to make sure that all the campers have the same fun they had. 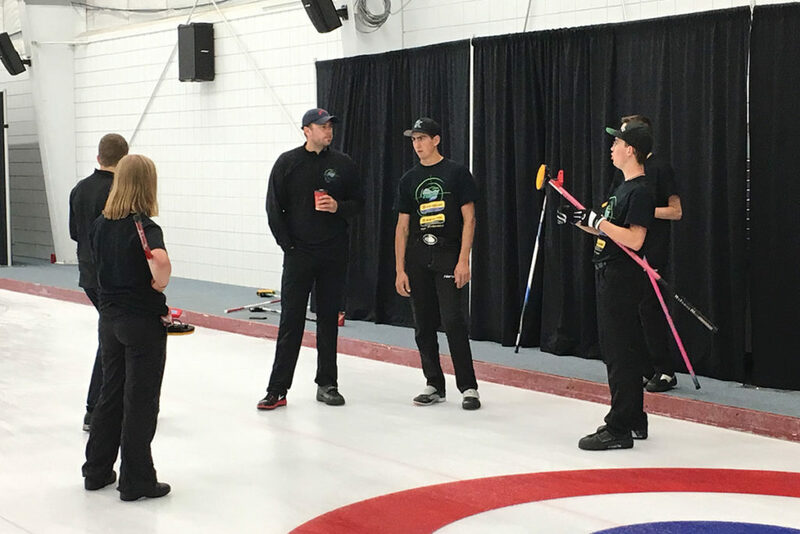 CURLSASK enlists the talents of the best instructors in Saskatchewan. These people have been around, so to speak, and they know their stuff. A ratio of 1 instructor for every 8 campers is the rule and there is also one on-ice assistant for every sheet of ice. Every camper gets lots of individual attention. A special thank you to Elite Curling who provided all the camper t-shirts and staff jackets throughout the week! 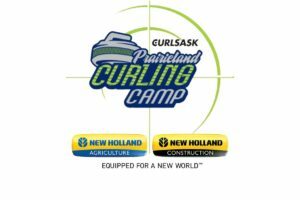 The Prairieland Curling Camp will provide curling instruction in an enjoyable atmosphere to junior curlers of varied ability. Two separate camps are offered and campers may only attend one of the two camps. There are up to 96 spots available for each camp, depending on interest. Campers that are under the minimum eligible age, may be considered if athletes are needed to fill the camp(s) and are encouraged to still apply. Camp participants will be placed into “Groups” based on age and ability. The group placement will be determined primarily by age, with consideration to technical ability and information provided on the registration form. Instruction emphasis will vary at each level. Areas of instruction include delivery analysis, strategy, brushing, mental and physical preparation, game situations, rules, fair play and much more. Social events are planned for each evening at camp as well as recreation time during the day. Registrations will open February 1st 2019 and be accepted at the office until May 29th, 2019 in order to be considered. Acceptance will be based on selection criteria determined by CURLSASK. A waiting list will be kept. Upon being accepted into camp, campers will receive a package detailing camp information, billet information, medical form, and a receipt for your camp fee. Complete the On-line Registration “Early Bird Pricing” option (SAVE $25), including payment of the registration fee of $400.00 (GST included), by March 15th, 2019. All registrations fees received after March 15th will be $425.00 (GST included). 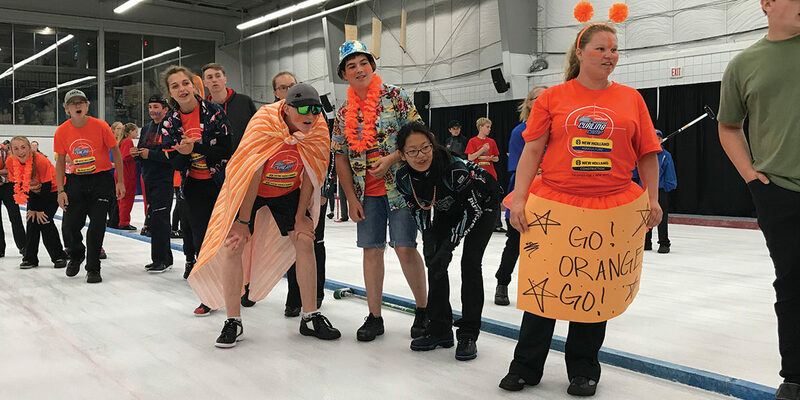 Cancelation Policy: If the applicant is selected into the Prairieland Curling Camp and cannot attend camp, a full refund will be provided if the cancellation is prior to July 5, 2019. 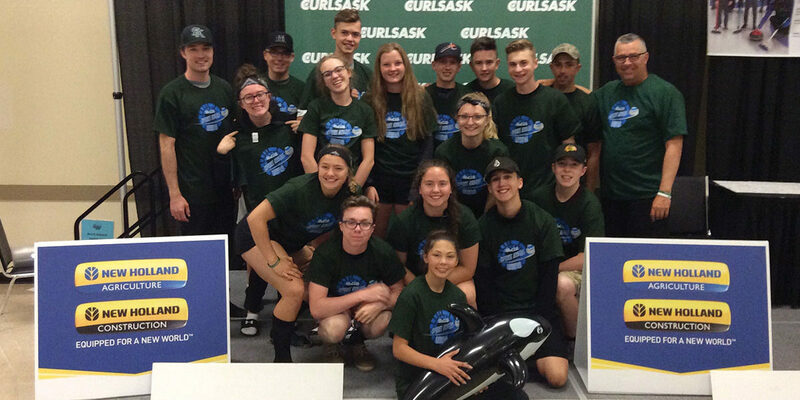 If the cancellation is after July 5, 2019 but prior to the start date of the camp, then CURLSASK will withhold 25% of the original registration fee. If cancellation within 48 hours of the start of the camp or the selected applicant does not show for the camp, no refund will be provided. Inquiries can be directed to CURLSASK. Phone: (306) 780-9202 or curling@curlsask.ca.